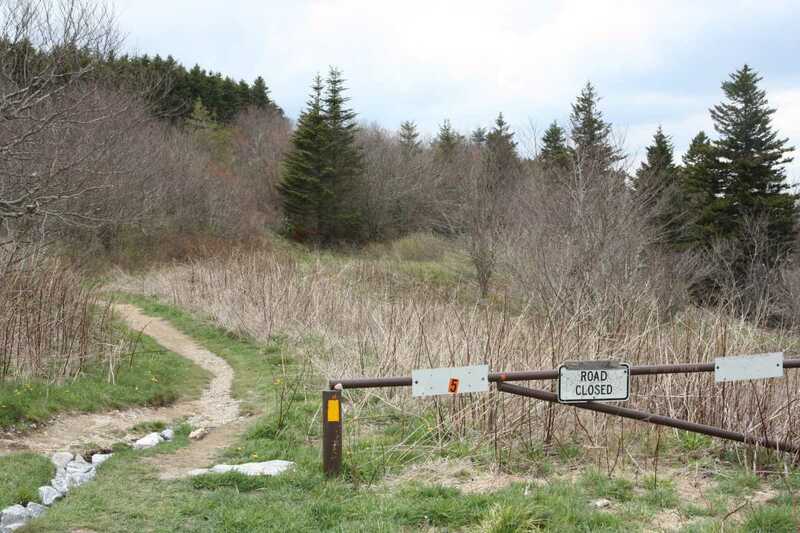 A moderate loop that will take you away from some of the crowds associated with the Art Loeb trail, the Sam’s Knob Loop offers views to rival those along on Black Balsam Knob. 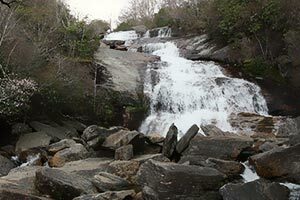 Enjoy a large grassy meadow, expansive views, and a rushing creek while bagging a Southern Sixer. 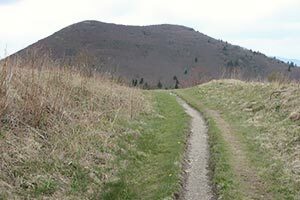 This hike begins at the parking at the end of Black Balsam Knob road off of the Blue Ridge Parkway near mile marker 420. For the popularity of this area, the parking lot is rather small, so get there early if possible. Depending on the direction around the loop you want to take, the trail either begins at the smaller gated path directly next to the restrooms or at the far end of the parking lot. 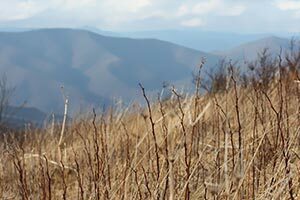 This description will tackle Sam’s Knob first, so head out on the trail next to the restrooms. 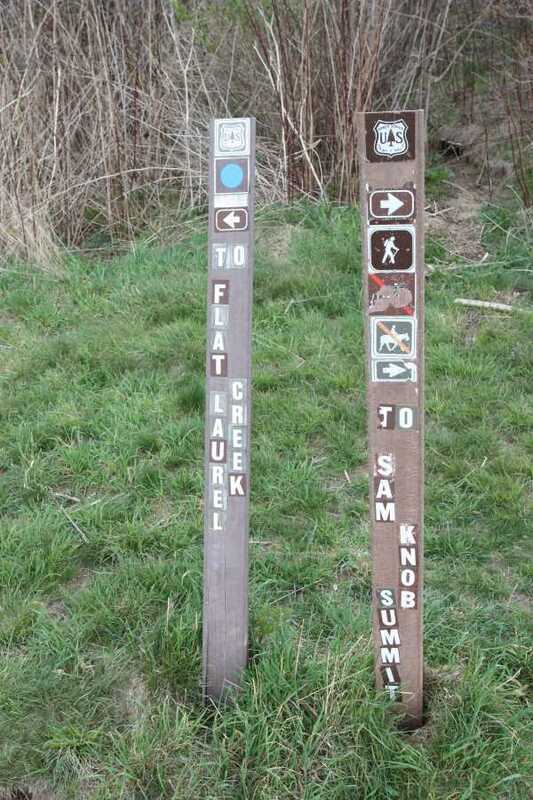 At intersections, trail posts will indicate a blue blaze for the Sam’s Knob trail and an orange blaze for the Flat Laurel Creek trail, although there are no blazes along the path other than these. Quickly pass a side trail to the left that leads to some camping spots. 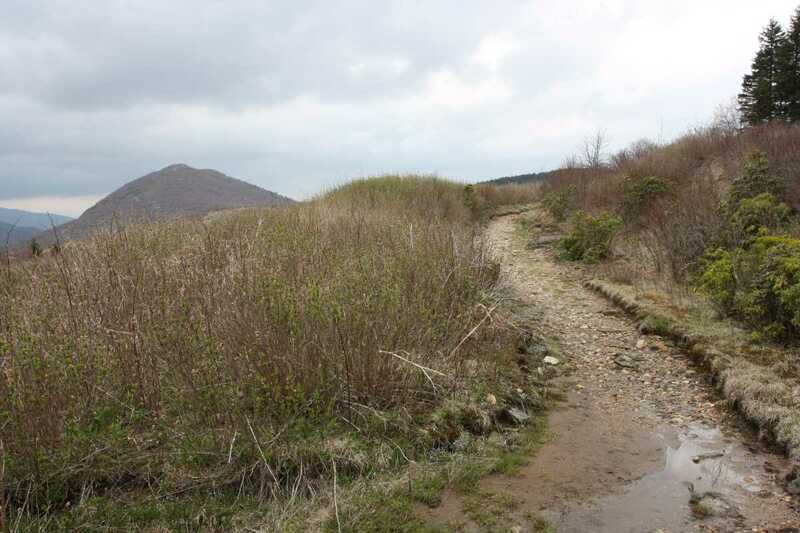 Follow the trail around the hillside, navigating wet muddy areas after rainfall. 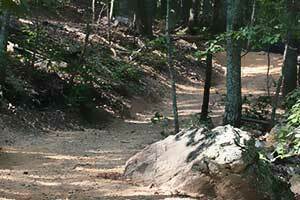 Follow along the rocky, gravel ditch leading downhill, ignoring what looks like side trails going off into the grass. 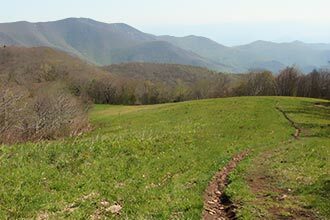 As you make your way out to the large grassy meadow, excellent of the imposing double hump of Sam’s Knob will be directly in front of you. 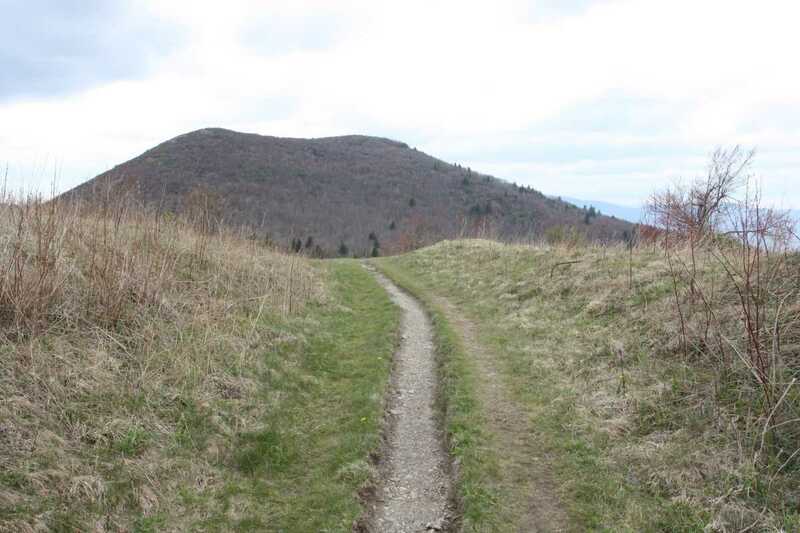 As you reach the base of Sam’s Knob, the trail splits with the Sam’s Knob trail continuing downhill to the left and the Sam’s Knob Summit trail to the right. This intersection is well marked. From here it’s all uphill, climbing 410 feet in .65 miles which is a rate of over 600 feet per mile. A set of wooden steps marks the halfway point. 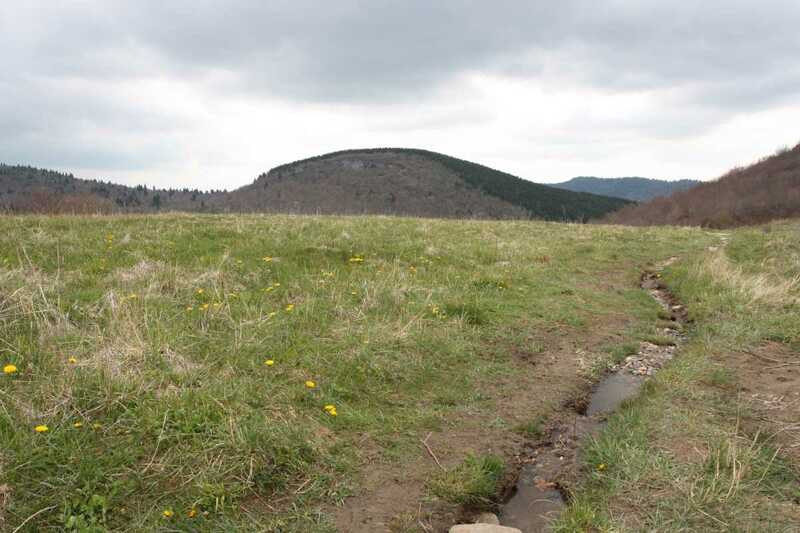 Although the summit contains several side trails, the main deep ditch that you have been following will split, with each direction going to one of the two summits. 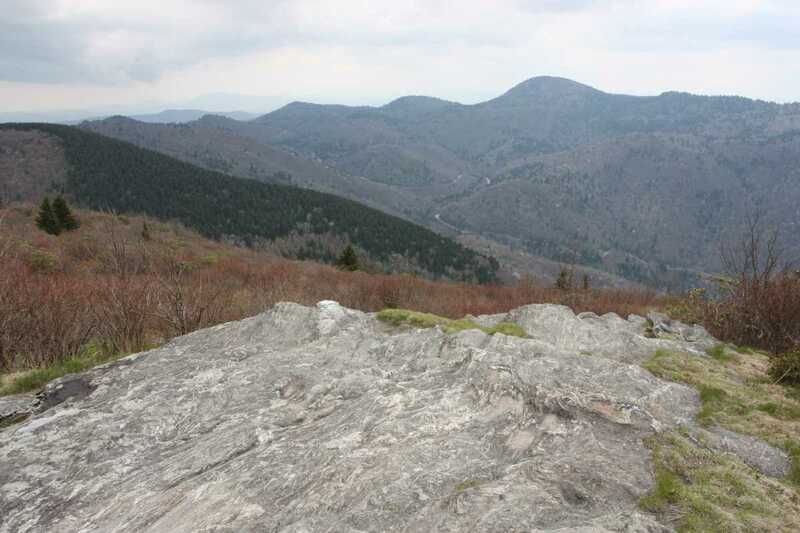 Look for the large quartzite boulder on the way to the north summit. 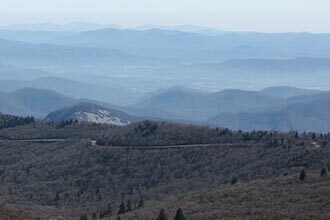 Both offer 360° views of the surrounding mountains, the grassy meadow, and the Blue Ridge Parkway weaving through the landscape. 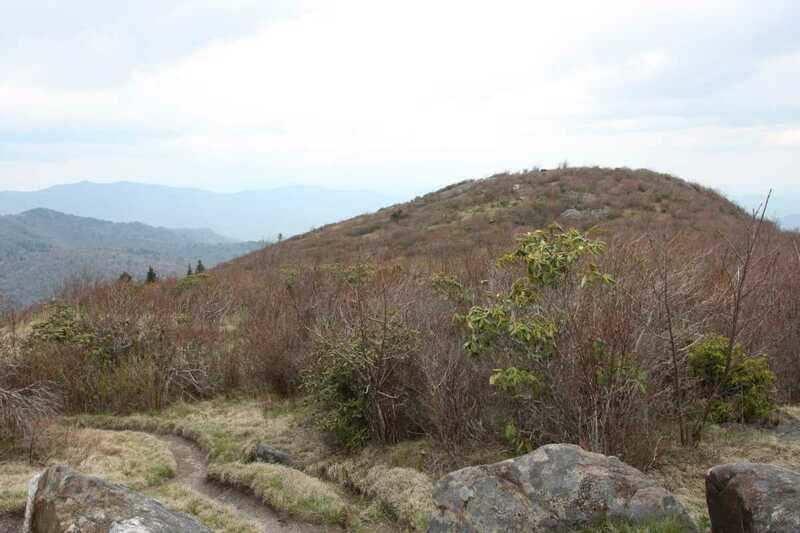 Retrace your steps back down the mountain, continuing along the Sam’s Knob trail toward the Flat Laurel Creek trail. 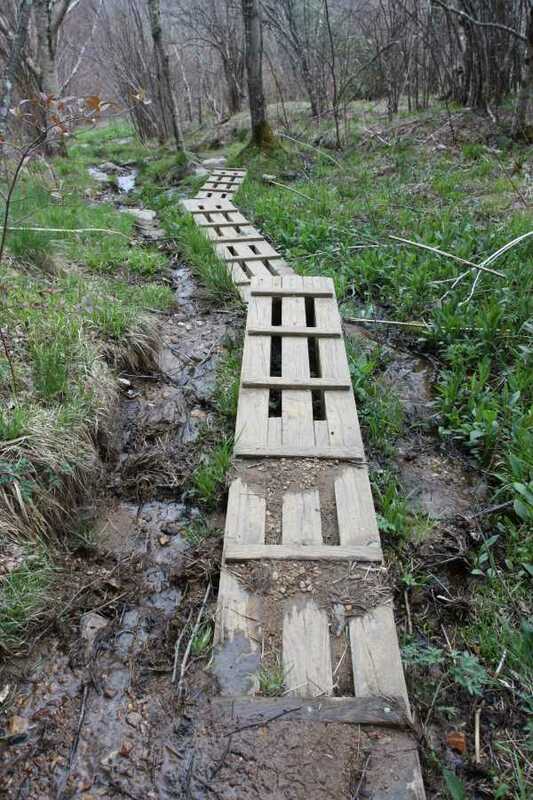 This section of trail can be extremely muddy and wet, so make sure you bring your boots. Wooden platforms help, but this is still a slow, eye’s down section to navigate. 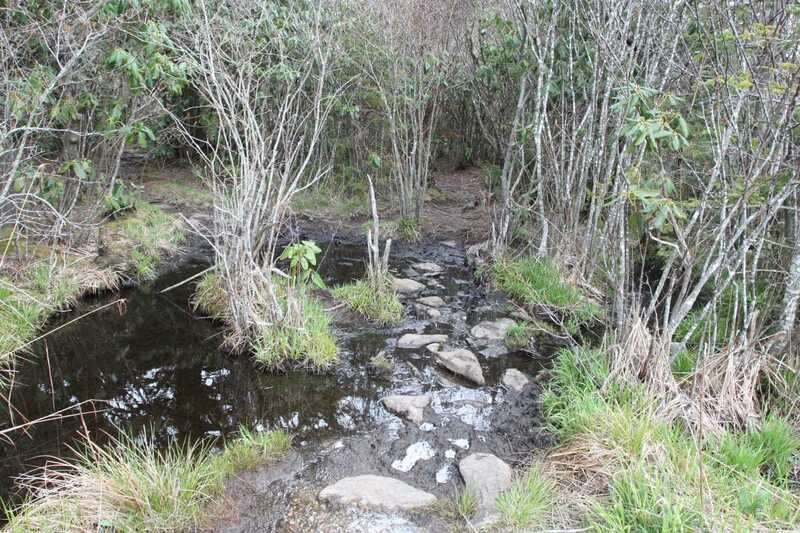 After a couple of stream crossings you will end up at Flat Laurel Creek. 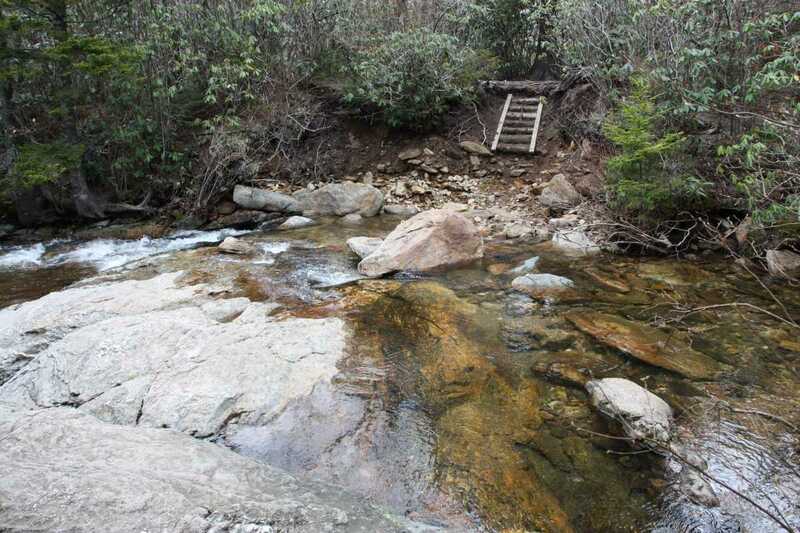 With rushing water around knee deep, navigating over the rocks can be a bit tricky so be careful. The junction with the Flat Laurel Creek trail is just on the other side of this crossing. Turn left here to hike back up to the parking lot. 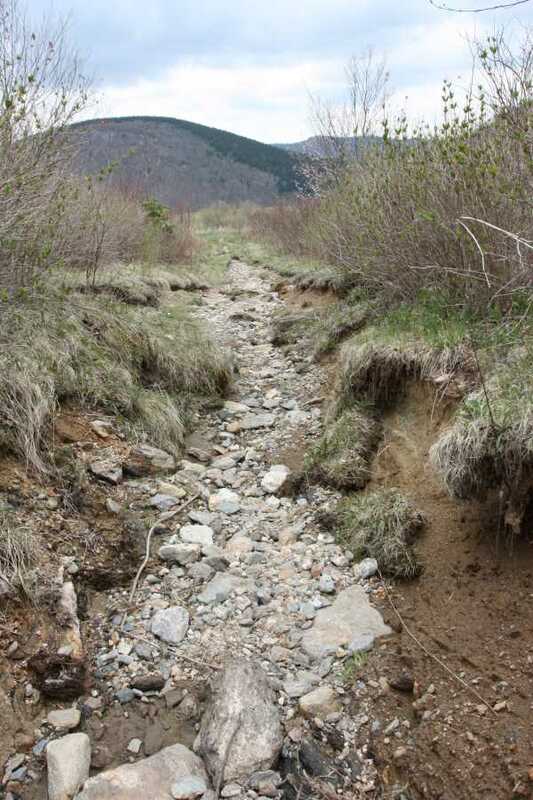 Much of this trail is wet as well, littered with rocks and several more small water crossings. Several side trails take you back to the creek. 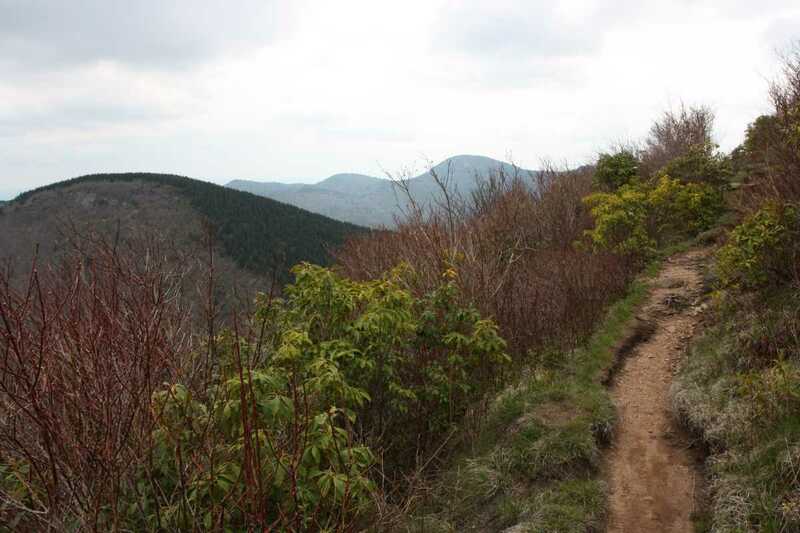 For the last mile, the trail opens back up to some good views of the area. Ignore more side trails, staying on the wide main path which will connect back with the parking lot, finishing out this loop. The section heading down to Flat Laurel Creek from the Summit Trail can be extremely muddy. Watch your step, wear boots, and use a stick/pole if you have one. Highly recommended. 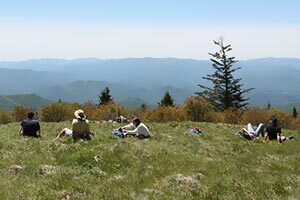 Excellent views throughout but especially from the top of Sam's Knob. 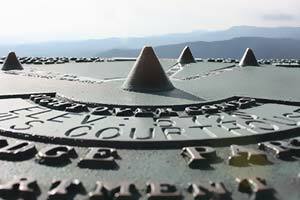 This is one not to be missed if you're travelling along the Blue Ridge Parkway.